It was exactly a year ago today that Brandon and I picked up and left all of our friends and family and made the long flight from New York to Germany. Our journey was long. We had a flight and then a super long and unnecessary bus ride to our new home in Bavaria. I remember sitting on the bus and being taken through the forrest on winding road after road thinking, are we really doing this? I thought, are we moving to a place in middle of the woods? That's what it seemed like at the time. Germany was a shock for us, but I was determined to find my place here with new friends, work, hobbies, and later school. Looking back on that first experience, I indeed felt like a foreigner in someone else's country. But now that a whole year has gone by, I'm happy to say I've found all of the things I was looking for above and more. I can honestly say that Brandon and I don't want to leave Germany. We have two more years here (and hopefully more), but the time goes by so quick. I am greatly aware of myself, people, and time. I know that my time here is short and that's why I take advantage of every opportunity that is offered to me. Looking back at this first year, we have indeed done a lot. I'm going to focus only on the travel we have accomplished as that was the initial goal of this blog. We've been so many places through Germany, but there are still so many more to go. 1) Christmas market in Rothenburg Ob Der Tauber. This was my favorite Christmas market, look at that town. I also went to 9 other amazing Christmas markets last year! 2) This is a picture from one of my flea market adventures in Nurnberg, I've been to so many other great fleas in Europe as well that you can check out on my Flea Guide Tab. 3) Regensburg, this has been a city that I go to quite often. It's one of my favorite German cities! 4) Neuschwanstein Castle. I have plans to go back and see the inside of the Hohenschwangau Castle. 5) Two weeks after we arrived in Germany, we attended Oktoberfest! Can't wait to go again at the end of the month! 6) Cologne. Not many of my readers know about this trip because it was posted before I changed the name of my blog and revamped everything in April. It's definitely worth checking out! Of course, I've had so many more experiences in between but these were my most memorable Germany trips. Can't forget about Trier, which was one of the stops on my family trip in July. Amsterdam below! This was also a trip that a lot of my readers might not know about either, but Amsterdam is probably my favorite destination so far. There is so much to do there, I will go back! Belgium below! I've been to four places within Belgium. Never thought I'd visit so many places in such a small country but something keeps bringing me back. 1) Bastogne. This was one of the three stops in Belgium on my family trip in July. There was a lot of history to this post. 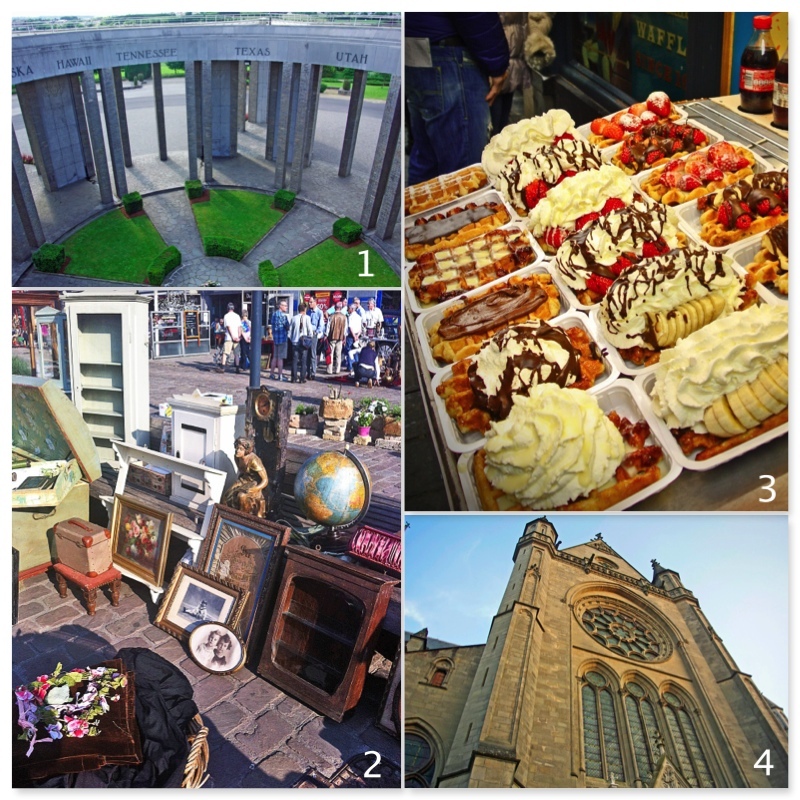 2) Tongeren Flea Market. Another stop on my family trip in July. I was obsessed with this market. 3) Brussels. Another trip that I think was missed by a lot of readers due to revamping my blog. 4) Arlon. Our home stay for four days on my family trip in July. Poland below! I went to Boleslawiecs, Poland for one day to buy some great Polish Pottery. The Czech Republic below! I've visited three places so far in the Czech Republic and it is one of my favorite places to visit that is close enough for me to visit often. 1) Prague. I love Prague, I was surprised by its beauty and everything it had to offer. One of my favorite places to visit hands down. And another great trip that was hidden from readers. So check it out. 2) Karlovy Vary. This was a neat looking Eastern European gem that I had visited for my one year wedding anniversary. 3) Kutna Hora. 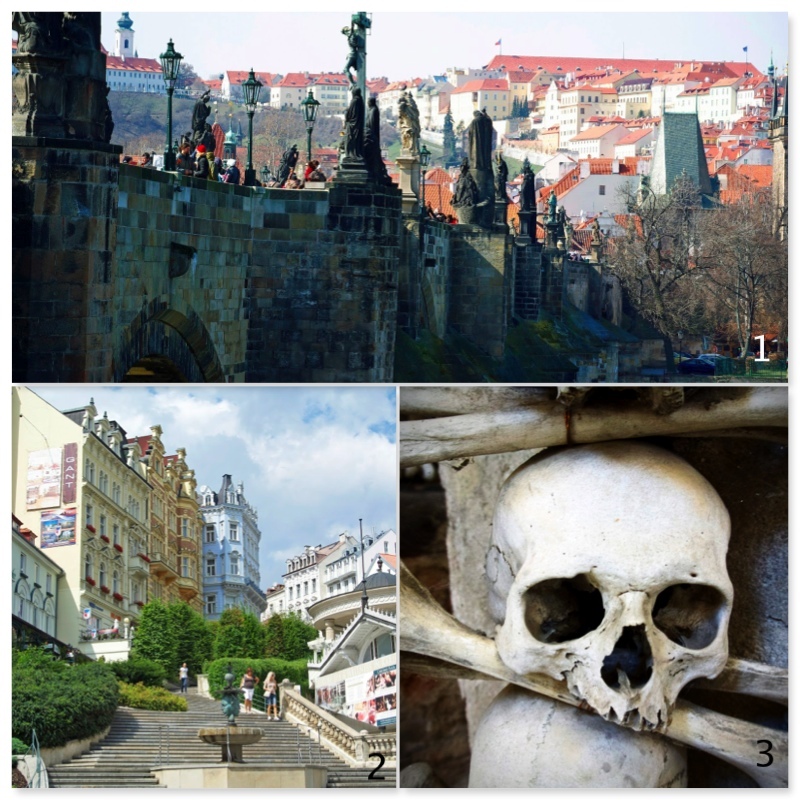 I just had to see The Bone Church and eat the yummy food at the medieval restaurant. We have visited two places in Italy so far and I will be taking my next class in Naples at the end of this month! 1) Venice. This is one of those must see cities. We visited for our honeymoon and Brandon's birthday. 2) Bari. Just another stop on our honeymoon cruise! Greece below! 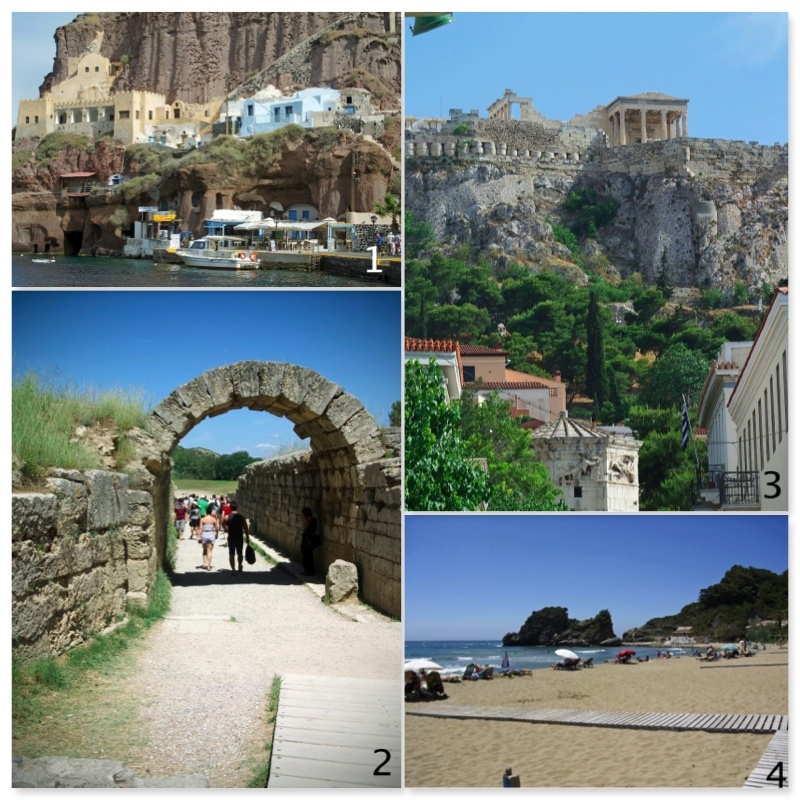 I visit four cities in Greece during our honeymoon cruise. Greece is so beautiful. 1) Santorini. Santorini was my favorite stop in Greece, it's such a breathtaking place. 2) Olympia. Find out the history of the Olympic Games! 3) Athens. The capital of Greece and an iconic and huge city. 4) Corfu. The beaches here are amazing. Croatia below. It was one of the most beautiful places I have ever seen and it was my favorite stop on our honeymoon cruise. Luxembourg below. Small country but has a lot of history. Another stop on my family trip. And lastly, France! 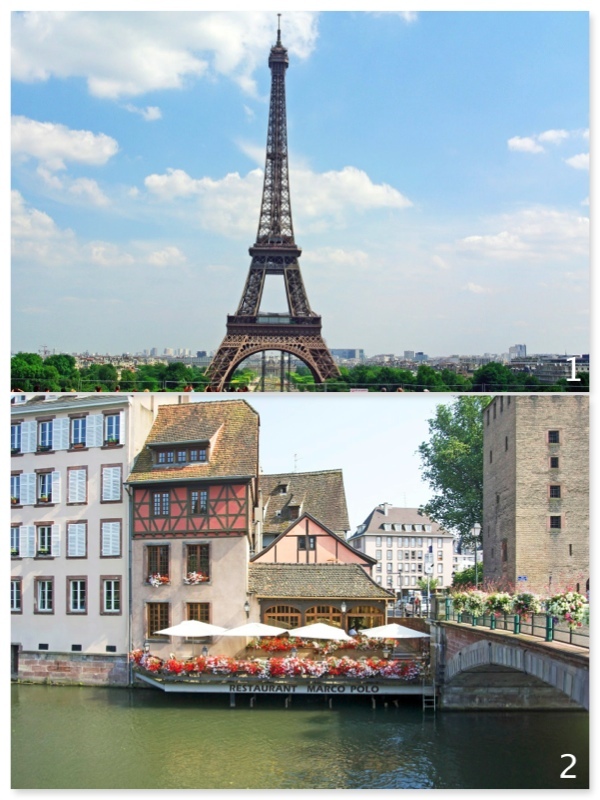 I visited two places in France so far. What a beautiful country! 1) Paris. I had to see this iconic city. And also need to go back for a second round. 2) Strasbourg. Lovely little christmas town. This was my favorite stop on my family trip. So there's my first year living in Europe. We've gotten around. I can't wait to see what next year's recap looks like. Thanks to everyone who has been following along and leaving such nice comments! Oh I wanted to add, I want to turn my blog into a book just for personal use. Does anyone know a good website to use for this? Your posts always bring back wonderful memories for me. So happy you are savoring your time there. You'll have no regrets. Thanks Nancy. No regrets indeed! Thanks Linda for the nice words. Wow, you lived in Europe for 25 years. Where did you live? Ahh, congrats, you are a true expat! I'm heading to Germany next month and looking forward to experiencing all the stuff you've experienced! Thanks Isa. I followed you on bloglovin btw. WOW you've done and seen a lot in your first year! How cool to be able to look back on it all now, time sure passes quickly! Yep, I see you are talking advantage of your time here too! I must say you absolutely did not waist your time during this year! Other people see that much in their whole life. Respect! I know, I know. My goal is to travel every country in Europe. Pretty impossible, but I like to dream big haha. I must say you did not waist your time! Great first year in Europe, you have seen some magnificent things! Gah you make me feel guilty for not travelling more! Poland is on my list for next year. Hopefully your blog will get me off my bum and make me travel more! Yes, I would still like to go to Krakow and actually see Poland. But who knows. Great pictures!! I look forward to seeing you at My Dream Canvas. Have a great week. Thanks Anu, followed you on Bloglovin! What a great first year you've had and loved the places you've traveled to so far. I'm jealous you're living in one of my most favorite places and you're near enough to all those wonderful cities. I will catch up on all those soon enough. I hope you make it to your neighboring Austria soon and can't wait to read your impressions on those. Yes, I can't' wait to visit Austria. We'll probably spend a few days there next year, my husband has family there. Awwwwwwwwwwww Trier! I lived there for 12 years!! Thanks for stopping by :) I'm now following via GFC. 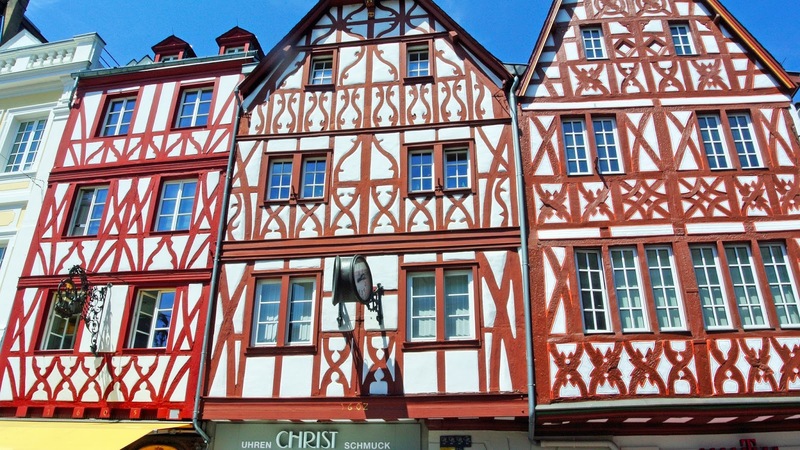 Wow, you lived in Trier? It's such a cool city! Thanks for following along Erika! 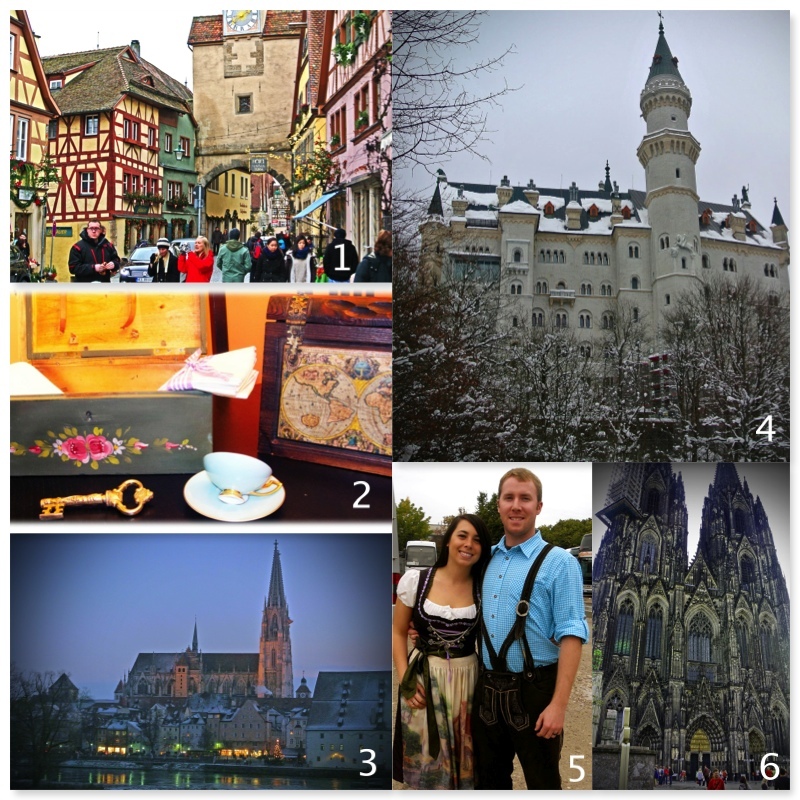 Guten tag, visiting from the Friends Around the World linkup! 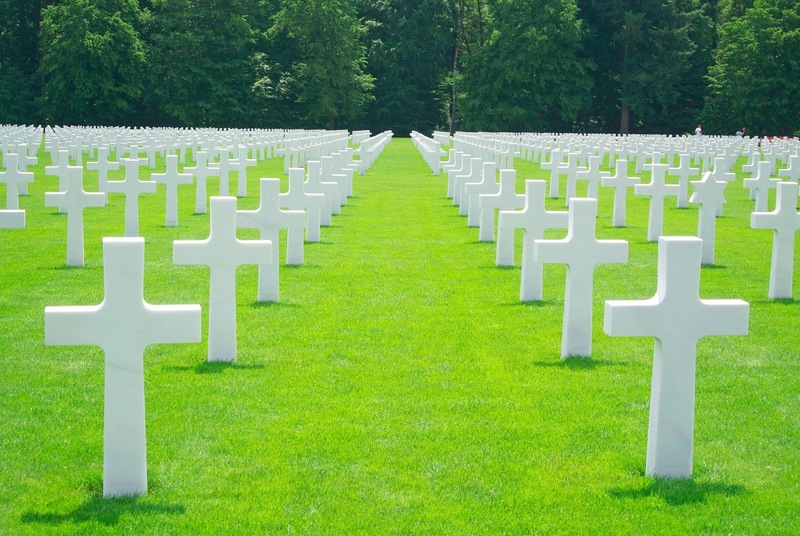 We just moved back to the US after living in France, and reading this post was a trip down memory lane as our paths have led us through many of the same places - thank you. Enjoy every moment overseas, our time in France was cut short and I wish I had even a couple more months there... Looking forward to reading about more of your adventures! Tschüss! These photos are incredible! I spent a year living in Hanover and a year living in Duisburg. Thanks Marty, it's awesome that you follow along! Hi! I'm so excited to see that you hit the countries we'll be visiting during our Christmas trip this year! Your blog will be a good reference for me for each city. Thanks for visiting my blog and leaving such a nice comment. Have a great day! Awesome. What specific places are you going to? I'm probably going to try a new slew of Christmas markets this year. I can't wait for all the Christmas markets. That's probably one of the things I am going to miss most about Germany. I'll be going to Bruges, Brussels, Luxembourg, Strasbourg, Rothenburg ob der Tauber, Munich and Prague! I can't wait! I need to go buy a big puffy coat so I don't complain about it being too cold the whole time! I have really enjoyed reading your posts as you travel about. Enjoy all of this and continue to share with all of us. Donna, thanks I'm glad you read. I sure will enjoy every moment! Haven't been to any of these places apart from Amsterdam. You should definitely head into Switzerland too. A bit expensive, but stunning. Switzerland is right below me so it's on my list. What's good in Switzerland? Congrats on your first year. You've covered quite a lot! Thanks Marcia, I hope to travel even more this year! What a year! So fun to see all your pictures. We have been to some of these places so its fun to relive my memories through your post. Glad I can take you down memory lane Tammy. Thanks for stopping by! Oh are so fortunate as a young couple to be able to experience all of these places together. We have been to the Neuschwanstein castle and many of the same places in Bavaria. 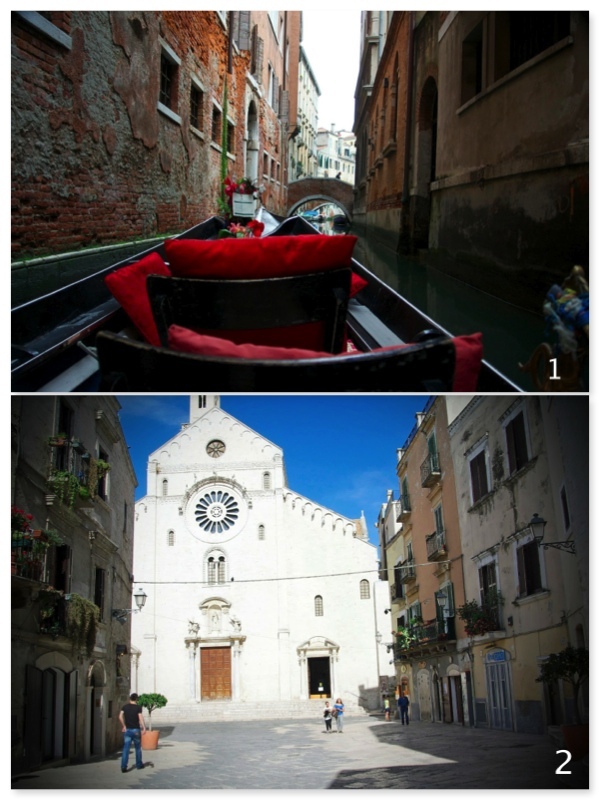 Our trip to Europe included 5 of these countries, Venice and our ride on a gondola was my favorite of all. Beautiful pictures. 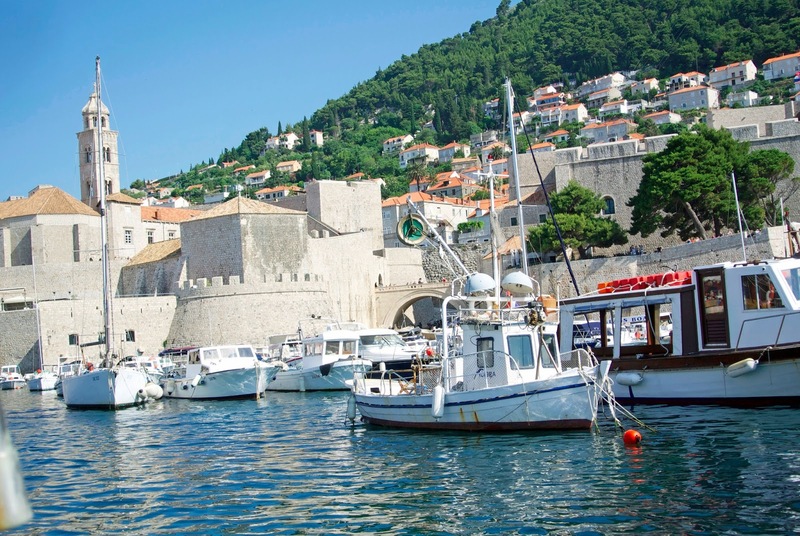 You are definitely taking advantage of expat life to explore that part of the world. That's what we are doing, too, while we live in Malaysia. I sometimes wonder what it will be like when we move back to Texas this summer. Will I still feel as compelled to travel as much? I have had good success with Blog2Print for turning my blog into a printed book. My mother-in-law isn't computer savvy, so it's the best way for her to read the blog. I make up a new volume for her every 6 months. Michelle, I think about this too when moving back home. I traveled a bit in the States, but I wasn't compelled to travel as much as I do in Europe. I think it will only make me want to travel more stateside. I already have so many places I want to visit whenI move back stateside! And thanks for the advice about Blog2Print! congratulations Brittany on your first year living abroad, how wonderful to be living in Germany, I would love to live in Europe some day so the flight are not so long and expensive coming from Hawaii....loved the tours! Thanks Noel! I know the flight is sooo expensive and I got sick for a week after the flight, it's so long. I still haven't been to Hawaii. It's been on my list for a long time! Wow, you've visited so many places in a year! That's incredible. Beautiful shots and what a year! I love the Polish pottery (which has prices similar to gold in the US) and you brought back wonderful memories of our travels this last year with the Venice and Amsterdam photos. Keep 'hittin' that deck runnin' Look forward to more reports. I've also seen ads for an online company that is Blog2Book. Let us know who you use and how you like it. Thanks Jackie and Joel. Glad I could bring back memories. 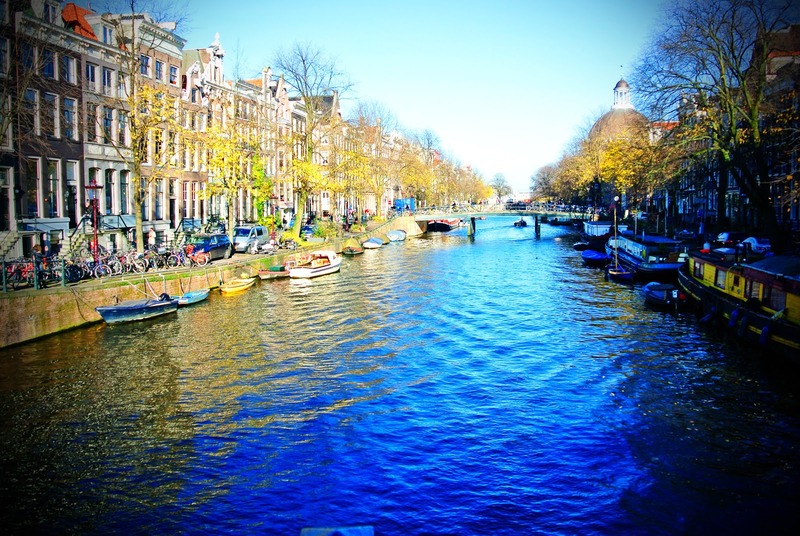 I loved Amsterdam especially! And I think i'll have to try that blogbook company! What a fantastic first year. My hubby and I are celebrating our 29th-gulp-anniversary tomorrow (I was a young bride)and we spent our first year traveling all over the U.S. I would love and probably will take a sabbatical from life and spend about 6 months in Europe doing what you are doing now. SO FUN! Happy first year! You've gotta do it. You will love it, especially since it's something you and your husband have done together. Thanks! Great post! We are moving to Czech Republic actually to Prague on Saturday, I am soooooo excited. I visited only once and I was already in love! You are moving to Prague? That's so awesome, I love Prague and go there often. How did you get to do that?